One of our favorite garden Fuchsias for its unique flower color and prolific blooming habit. Sepals are terra cotta orange with green tips and the corolla is rich auburn red. Very nice. To 14″ x 2′ in a single season. 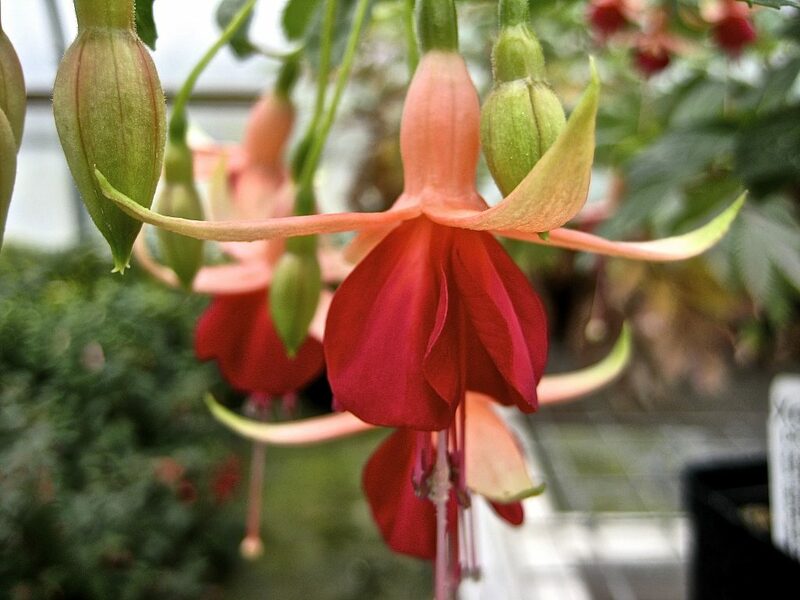 Excellent container Fuchsia where you can match the cool flower colors for a great effect. Part shade to high overhead shade in a cool position. Rich, moisture retentive soil with mulch in fall. Dies to the ground with the first hard freeze and returns quickly from the roots in spring. Plant deeply to ensure greater winter protection for the first season. Fuchsias adore fertilizer- give ‘Thomasina’ a handful of all organic fertilizer in spring. They also respond heartily to liquid fish emulsion. Blooms June to frost.